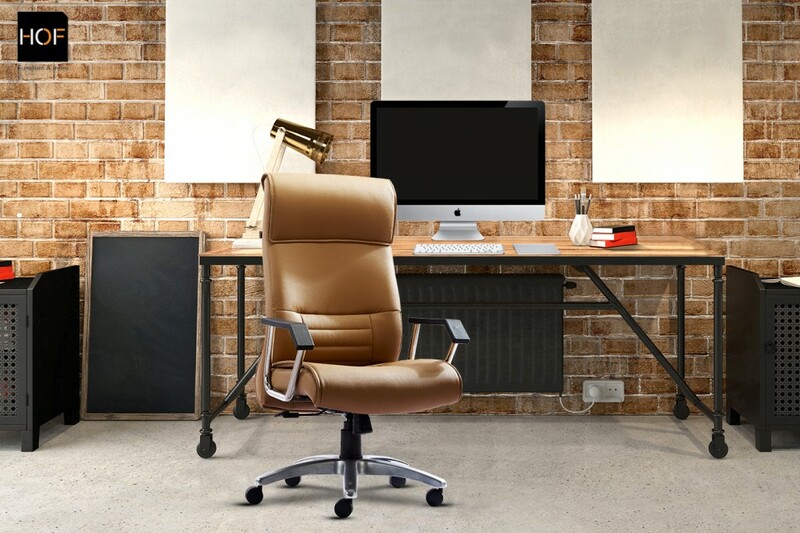 How To Buy A Good High Back Leather Chair For CEO Office? A CEO’s chair is the proverbial most sought after position in any organization. However, CEOs too give top priority to making sure that they have the right chair. A CEO office chair serves a purpose beyond than just its functional advantage. It is a style statement and a power icon in itself. Therefore, it is important to buy a professional and well-designed office chair that blends functionality, style and aesthetics. Investing in a high-quality executive office chair offers comfort as also reflects your professional persona and the style of your company. High Back office chairs have a distinct personality and strong presence. Not only do these offer better recline support, those with adjustable head-rest further make high-back chairs a compelling choice. Given the hectic schedule and long hours of hours, it is essential to choose an ergonomically designed chair in order to enhancing the quality of comfort and also boost efficiency. 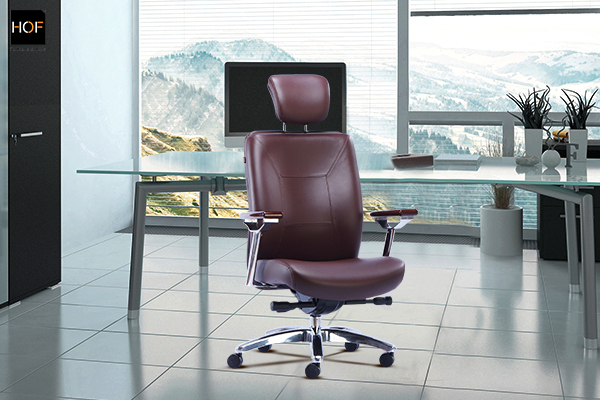 High-Back leather office chairs evoke luxury and sophistication. Whether you seek a modern look or a classic appeal, luxurious full-grain leather chair stand out with its fine craftsmanship and natural patina of leather. HOF executive chairs are designed in Italy and manufactured in state-of the-art manufacturing plant in India. As trusted chairs suppliers of premium ergonomically designed office chairs for over 30, HOF offers you the widest range years for premium ergonomic office chairs that add to your power and persona. Explore our top 3 picks this season for your office. One of our bestsellers premium chairs blends style and fine craftsmanship like no other. Full-swing chair mechanism and classic appeal together with advanced ergonomic design make it a style statement. Contemporary, Eclectic office chair that comes packed with technologically advanced ergonomic features; you can never go wrong with MARCO 1007H. Hurry! Get flat 50% off this festive season on your favorite office chair.